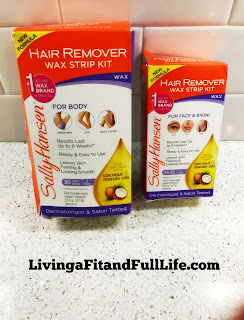 Living a Fit and Full Life: Remove Hair Quick and Easy with Sally Hansen's Hair Remover Wax Strip Kits! 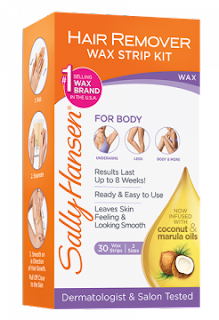 Remove Hair Quick and Easy with Sally Hansen's Hair Remover Wax Strip Kits! Salon results that last up to 8 weeks. Dermatologist Tested and Salon Tested. Pre-waxed, pre-cut strips are fast and the easiest way to wax: 1) Warm strip in hands 2) Separate double-sided strips 3) Press on, pull off Dermatologist Tested and Salon Tested. Remove hair quick and easy with Sally Hansen's Hair Remover Wax Strip Kits! 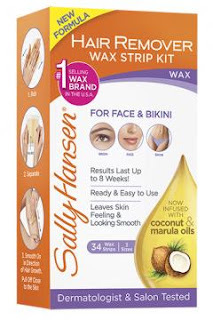 With summertime in full affect, there's never been a better time to try Sally Hansen's Hair Remover Wax Strip Kits. I absolutely love how quickly and easily I was able to wax my legs with Sally Hansen's WAX STRIP KIT FOR BODY. The strips and pre-waxed and pre-cut so all you need to do is warm them in your hands, separate, apply and remove. It's just that easy to get incredibly smooth legs and the results last up to 8 weeks. Sally Hansen's HAIR REMOVER WAX STRIP KIT FOR FACE works exactly the same and leaves your face incredibly soft and hair free for up to 8 weeks. 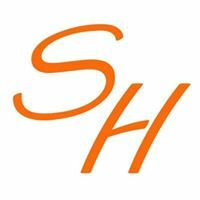 Sally Hansen's Hair Remover Wax Strip Kits are the perfect way to remove unwanted hair and avoid the dreaded need to shave every time you head to the beach or pool. I was a tad worried about the wax kits being painful to use but there was very little pain at all and I'm completely amazed at how well the kits work!